A rich protective hand cream, rich in the living energy of lavender, calendula and viola, to deeply moisturize and restore smoothness, leaving hands feeling soft and supple. 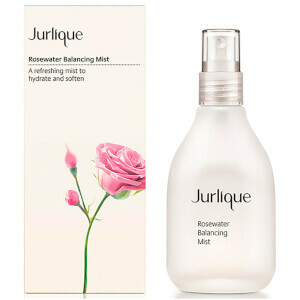 Restores moisture to even very dry hands. Aqua (Water); Cetearyl Alcohol; Carthamus tinctorius (Safflower) Seed Oil; Glycerin; Macadamia ternifolia Seed Oil; Honey; Sodium Cetearyl Sulfate; Chamomilla recutita (Matricaria) Flower Extract; Althaea officinalis (Marshmallow) Root Extract; Calendula officinalis Flower Extract; Rosa gallica Flower Extract; Bellis perennis (Daisy) Flower Extract; Viola odorata (Violet) Extract; Echinacea purpurea Root Extract; Viola tricolor (Heartease) Extract; Lecithin; Sodium Hydroxymethylglycinate; Aloe barbadensis Leaf Extract; Daucus carota sativa (Carrot) Root Extract; Alcohol; Fragrance (Parfum)*; Lactic Acid; Citrus grandis (Grapefruit) Seed Extract; Tocopherol (Vitamin E); Linalool; Limonene; Coumarin; Geraniol.